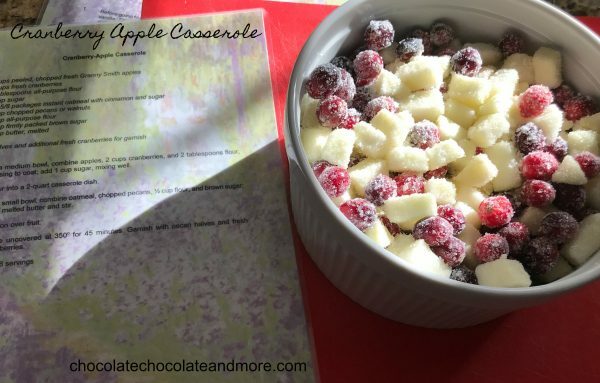 Cranberry Apple Casserole - Chocolate Chocolate and More! Cranberries and apples are an amazing combination and make a great side dish or even a dessert! 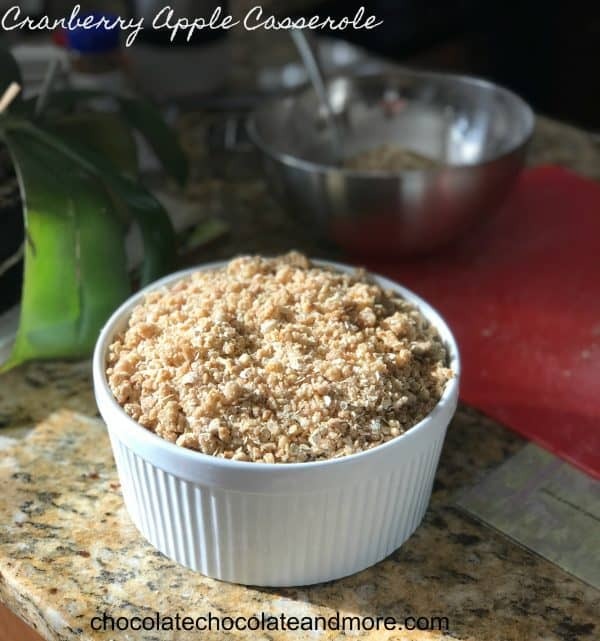 Cranberry Apple Casserole is one of my family favorite recipes. While we always have it with holiday dinner, I also enjoy making it whenever the urge strikes. You can scale this recipe up for a large family gathering, or down for a smaller dessert or snack sized offering. As you can see in the above photo, my mother has made books of some of our favorite family recipes for my sister and I to keep in our own kitchens. The pages are laminated because invariably we get ingredients on the the book as we whip up the recipe at hand. 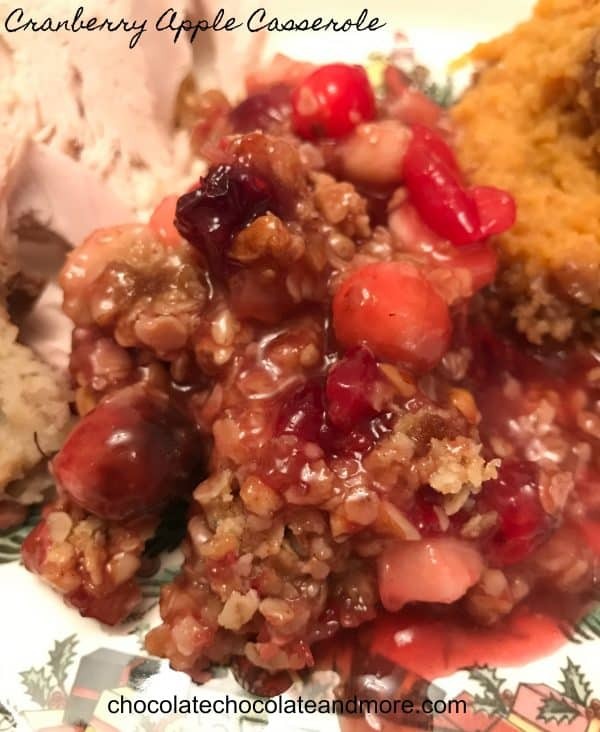 This Cranberry Apple Casserole recipe is not an old family keepsake even though we treat it as such. I actually added it to the family collection about 20 years ago. I found it when I was producing a cooking segment for a TV station I worked for in Tampa, FL. My family doesn’t really enjoy cranberries at the holidays. So I wasn’t too sure how well this recipe would go over when I made it that first time. It turned out to be a big hit. We’ve had it every holiday since (as well as a few other times during the year!). The prep time on this recipe is about 20 minutes. The most labor intensive aspect is peeling and dicing the apples. The cinnamon spice oatmeal can be a challenge to find. Keep an eye out for packages of cinnamon and spice oatmeal (it usually has either apples or raisins mixed in). When you do come across a box, go ahead and grab it! Even if you don’t have immediate plans to make this casserole, pre-packaged oatmeal has a long shelf life. Having it on hand means if you ever have an urge to throw this together, you don’t have to worry about hunting up the key piece of the topping. In a medium bowl, combine apples, cranberries, and 2 tablespoons flour. Toss to coat. Add 1 cup sugar, and mix well. In a small bowl, combine oatmeal, chopped pecans, 1/2 cup flour, and brown sugar. Spread topping over fruit mixture until evenly covered. Serves 6-8, depending on how large your serving size is! 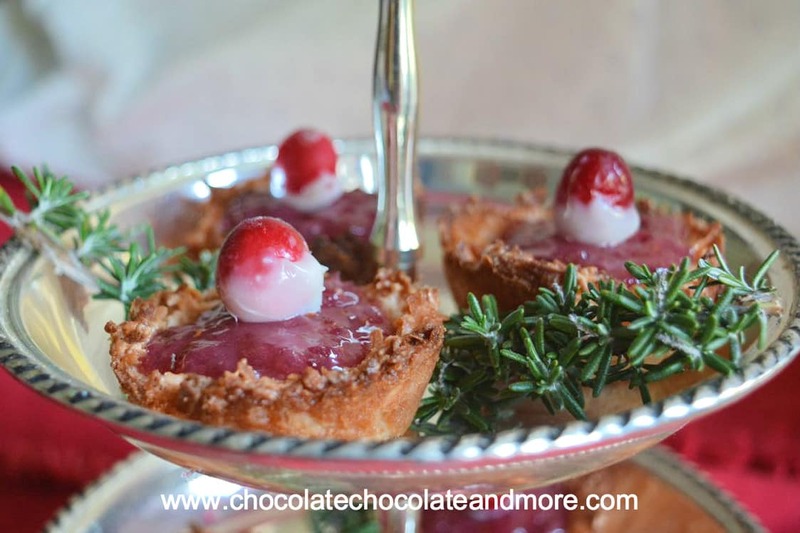 Looking for other great cranberry dishes? It would be nice if you showed prep time, total time and the number of servings for your recipes. BTW, you don’t say how much of the chopped pecans go into this recipe. Total prep time is about 30 minutes, but could be faster if you have assistance (like I did). Number of servings is also subjective as some folks take more or less, but I would say 6-8. Chopped pecans is one cup — thanks for pointing out that I didn’t include that. I will go in and fix that now! Thanks for taking the time to respond, and I hope you enjoy! Thanks for stopping by Shipra! I hope you enjoy this recipe!